When McDonald’s suddenly dropped the Angus beef burger from their menu people were pissed. 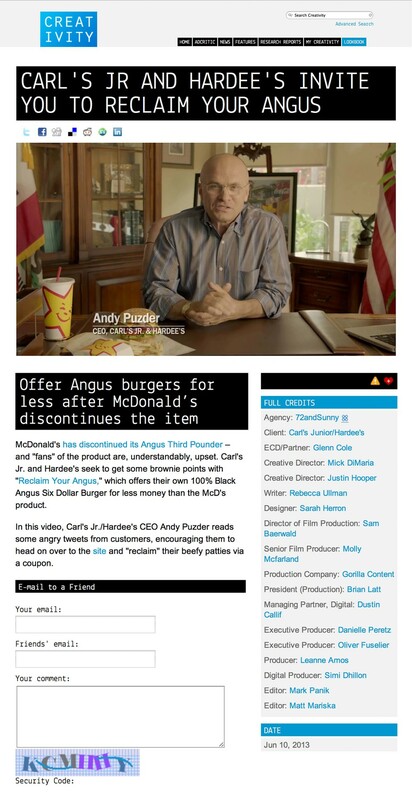 Until Carl's Jr. and Hardee's offered them a bigger better Angus beef burger for less money. McDonald's customers were overjoyed. And some even became Carl's Jr. converts. In a few short days, Carl's Jr. and Hardee's gained more than 37,000 new Facebook friends.